This presentation will help parents and teachers understand the science supporting basic Montessori principles, as well as what Montessori is and how it differs from conventional education. It includes an overview of the content of her book, Montessori: The Science Behind the Genius (3rd edition – 2017, 2 new chapters, updated research). 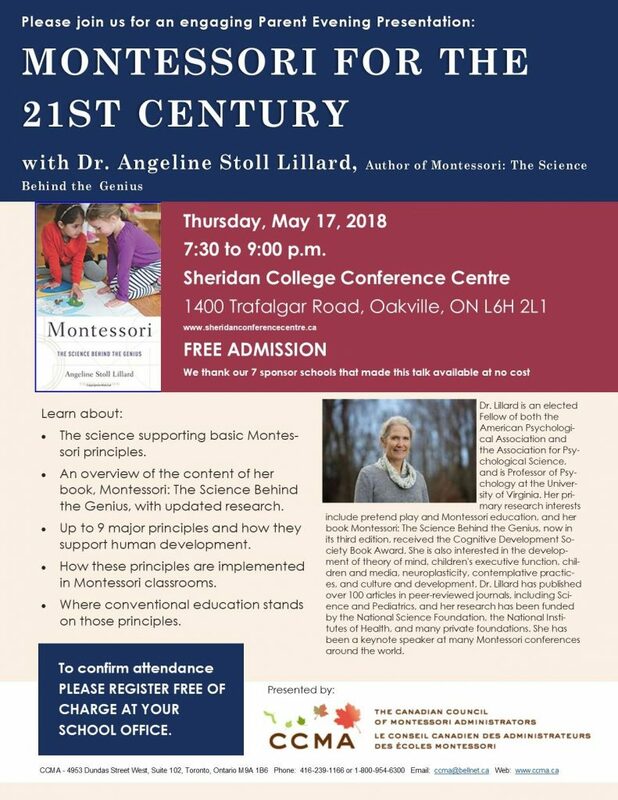 After a brief introduction to Montessori education, she will present up to 9 major principles, including the most recent research, showing that they support human development, and explain how they are implemented in Montessori classrooms. Dr. Lillard will also touch on where conventional education stands on those principles. Dr. Angeline Stoll Lillard Dr. Lillard is an elected Fellow of both the American Psychological Association and the Association for Psychological Science, is Professor of Psychology at the University of Virginia. Her primary research interests include pretend play and Montessori education, and her book Montessori: The Science Behind the Genius, now in its third edition, received the Cognitive Development Society Book Award. 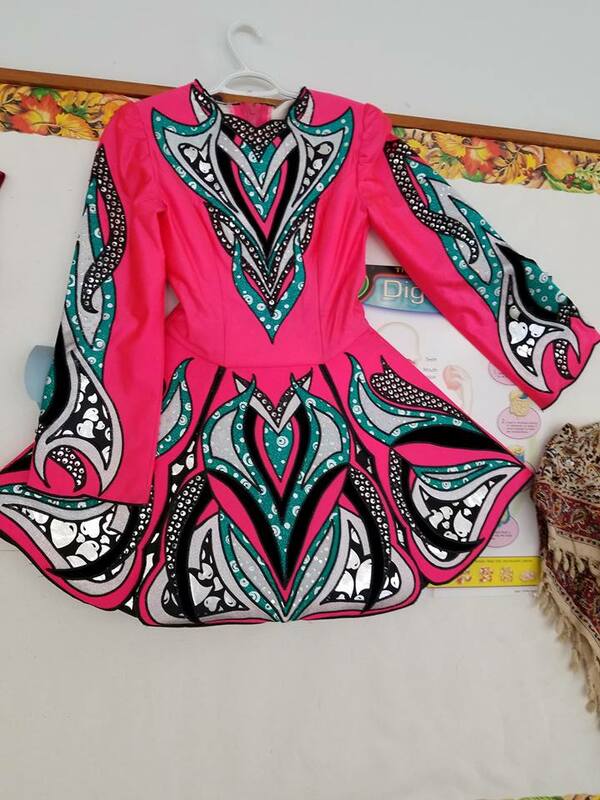 She is also interested in the development of theory of mind, children’s executive function, children and media, neuroplasticity, contemplative practices, and culture and development. Dr. Lillard has published over 100 articles in peer-reviewed journals, including Science and Pediatrics, and her research has been funded by the National Science Foundation, the National Institutes of Health, and many private foundations. She has been a keynote speaker at many Montessori conferences around the world. 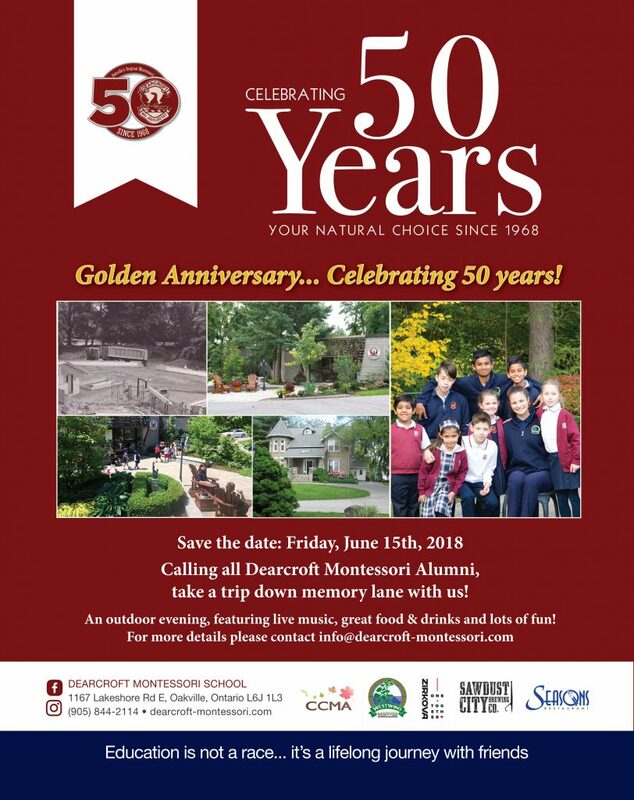 Dearcroft Montessori is celebrating 50 years! 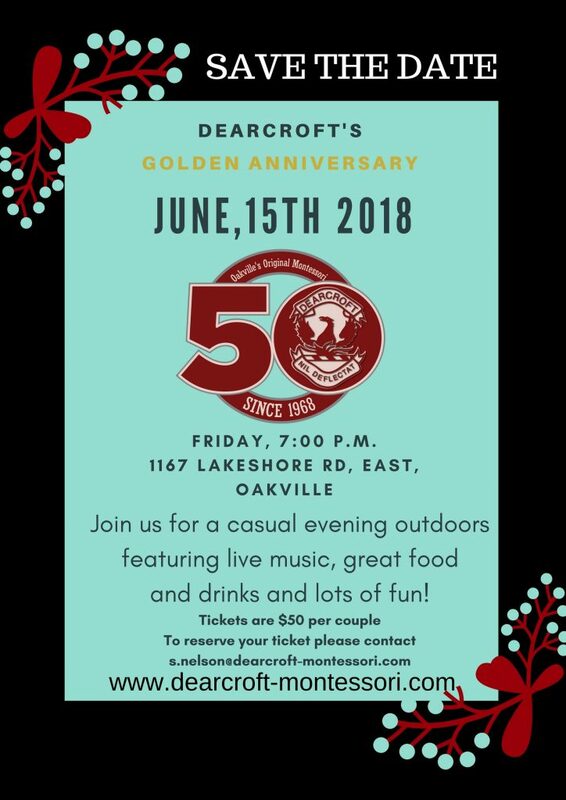 Join us to share in our 50 years of success as we celebrate the past and look forward to the future. Enjoy an adult night out in our natural campus with lots of food and drinks and live entertainment. Seasons Restaurant has generously donated a dinner party for eight in their private wine cellar to enjoy a tasting menu paired with wine valued at $800. Funds raised from this raffle will be donated to Dalhousie University’s Ocean School, a program educating Grade 6-8 students about coastal management, ocean pollution, climate’s affect on the oceans and conservation of marine species. This program was established in honour of documentary filmmaker Rob Stewart, a close friend of Dearcroft. We also have amazing door prizes to give away at end of the evening! There is designated parking on Belair Dr (eastside), Burgundy Dr (eastside), Dianne Ave (southside), Lavender Lane (southside), Morrison Rd (eastside) from 6:45 pm to 10:00 pm, however we encourage you to walk, ride a bike or uber if possible. The winners of door prizes and the raffle will be announced at 9:00 p.m.
Tickets are $50 per couple. 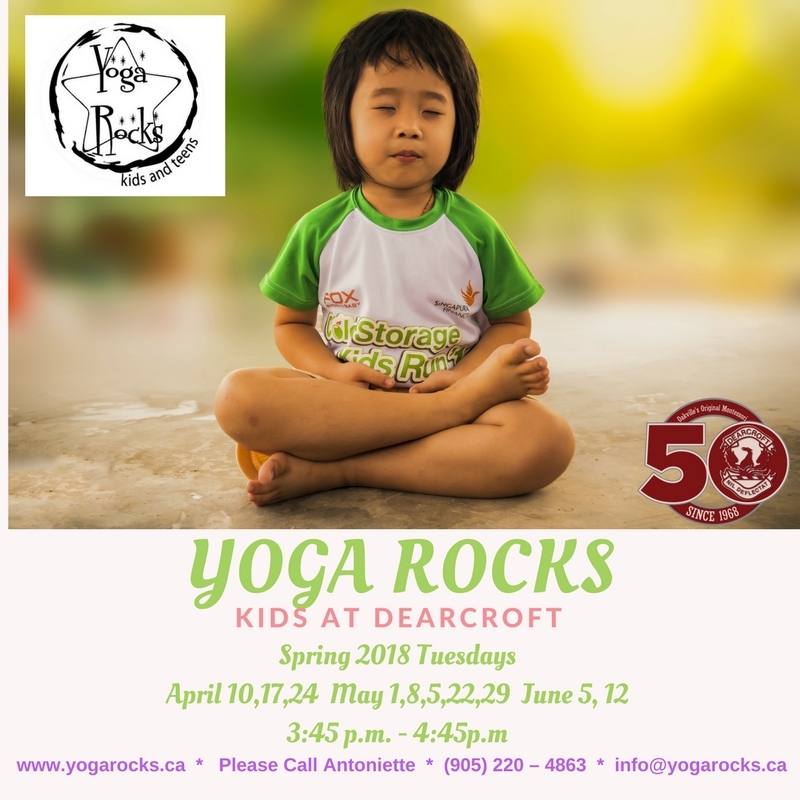 This program offers a playful approach to yoga for children ages 4 – 9 years old. We combine fitness, fun yoga poses, group games and which allow children to explore this form of exercise naturally. In this class children will develop body awareness, strength and flexibility. They will practice poses that improve balance, coordination and gross motor skills. The children will also be introduced to BRAIN GYM, which are physical exercises that help integrate the left and right brain function, encouraging whole brain thinking. Students work together in small cooperative games which encourages team work! As each child begins to master the yoga poses he/she will build self-esteem and confidence as well as increase focus and attention. 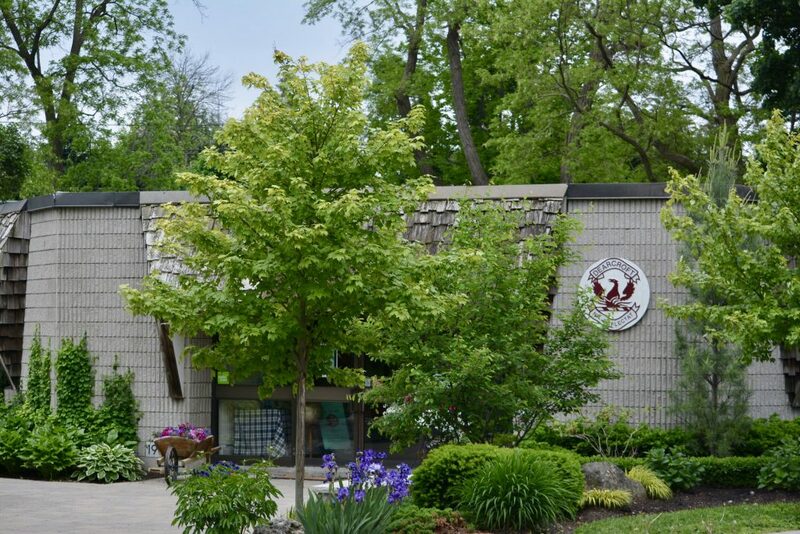 Antoinette Finelli & Marcia LeBlance will both be teaching the Yoga Program this school year. Both are Certified Yoga Instructors for adults and kids. Marcia loves teaching yoga to kids of all ages in English and in French! As Children’s Yoga instructors they have observed the benefits gained by students and they love to share this great activity with children of all ages. The goal is to engage children of all abilities to become active, self- confident and healthy through this non-competitive activity. April 10.17.24. May 1.8.15.22.29. June 5.12. The registration forms are attached to this email. 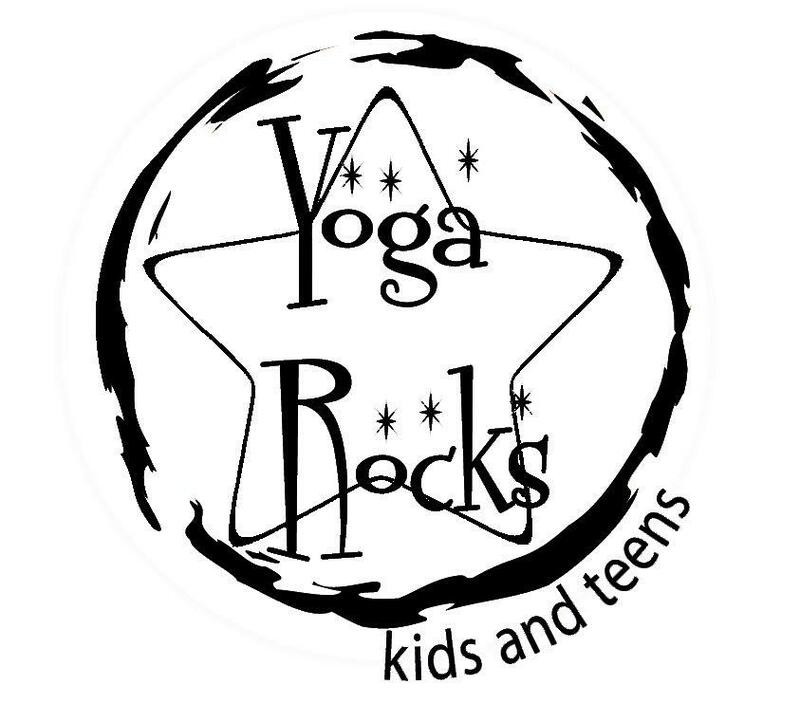 If you are interested in signing up your child for the 10 week Yoga After School Program, please fill out the forms and return them to the office before April 10th. 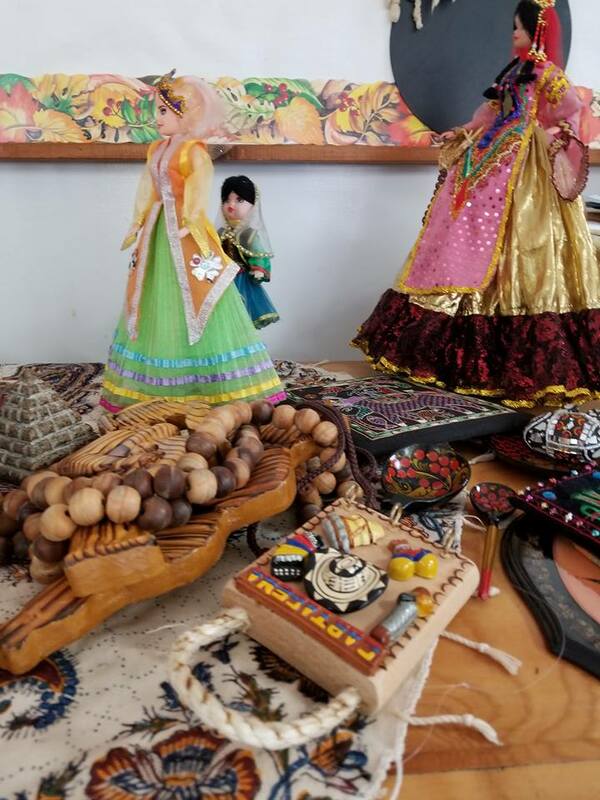 On Heritage Day, all the children come together, bring in food from their cultures, wear clothing from their studied country and sing songs from around the world. 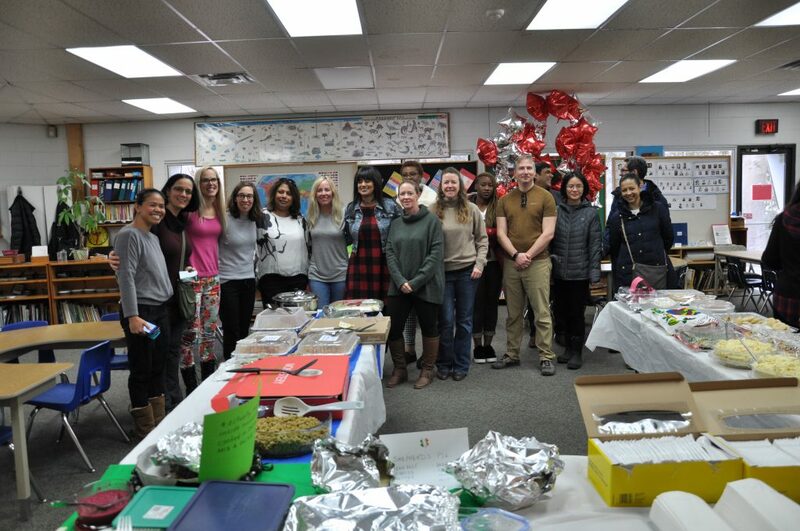 It is a day where the children get to learn from others and experience delicacies from cultures that differ from their own. This is a long-standing tradition celebrated every year! 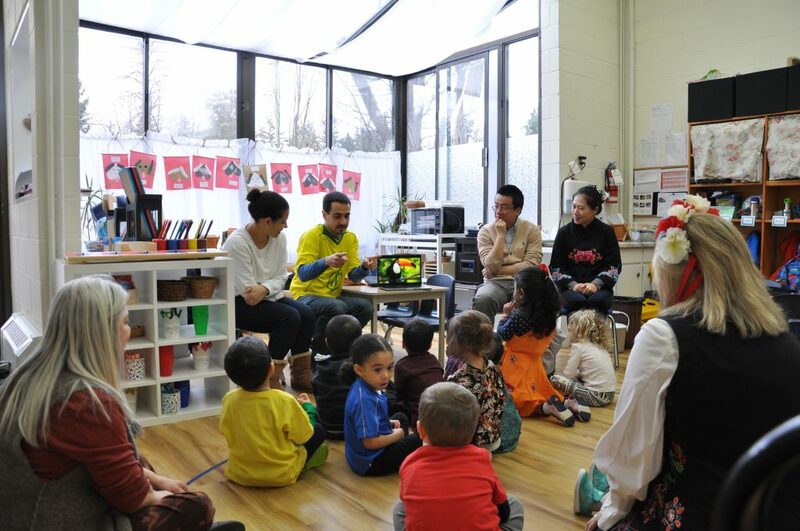 The Prima Casa Class heard presentations from some of our Parents about the traditions and culture celebrated in Brazil, China and Egypt. 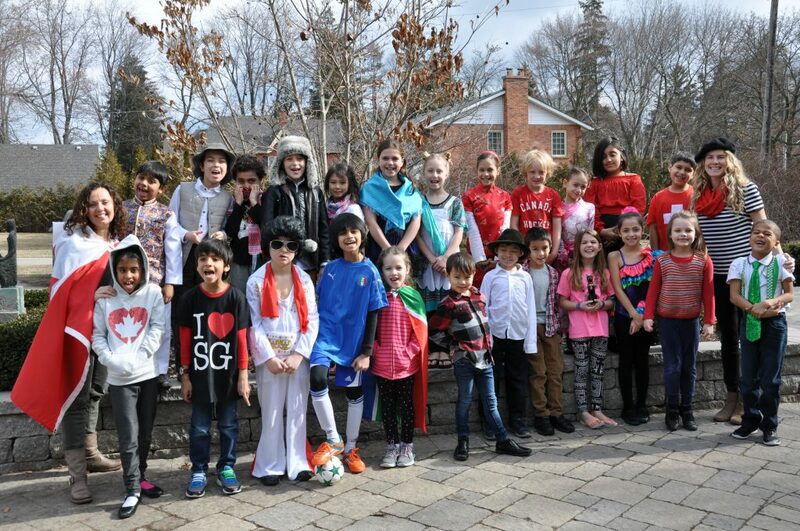 The Junior Elementary Students (Grades 1-3)celebrated diversity by studying the country of their choice and presenting to the school. 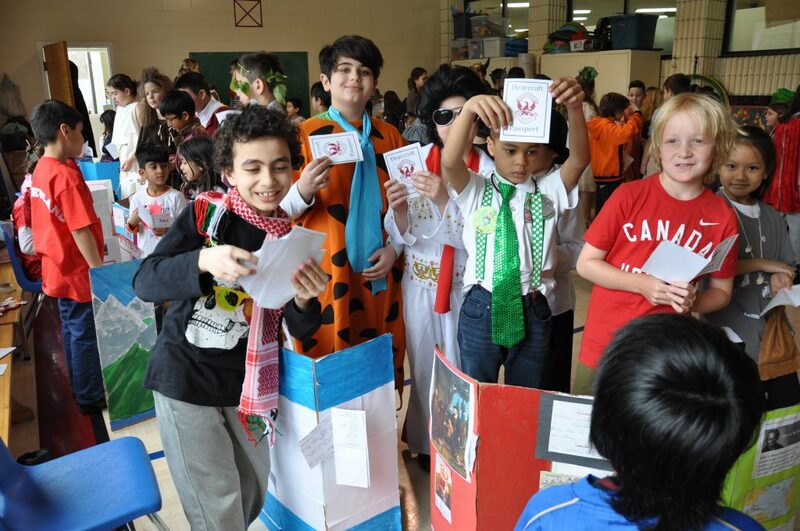 They followed-up their presentations with passports and stamps, students in the Casa and Senior Elementary got to travel to those countries and stamp their passports! 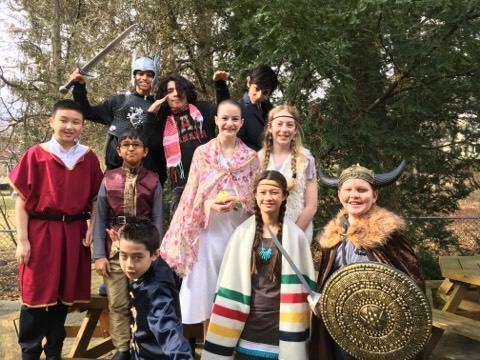 The Senior Elementary Students celebrated several eras that they have been studying this Winter term.